It's hard to believe that more than 25 years ago Sonic the Hedgehog came along and changed the world of video games. It feels like yesterday when my dad showed me his SEGA Genesis and introduced me to the blue blur. Of course, this was Sonic 2 and I was about 3/4 at the time. I only found out about Sonic 1 when I was about 9 years old when the Sonic Mega Collection released on the Gamecube which contained ports from all classic Sonic games in a collection. As time would go on, Sonic 1 in particular would see over a dozen ports. Some were true to the original, while adding more content making it some of the best relived memories in gaming, while others would try to ruin the best memories with the hedgehog. Sonic the Hedgehog AGES is the latest port that carries a lot of promise, but it live up to those expectations? I got my copy on the Nintendo Switch, personally any game that I can take to go will automatically be my buy now. Having Sonic 1 to go has always been the best because it's a short, fun, challenging game that I can play at anytime if I'm just waiting for a bus, stalling time on a break or whatever it is that I'm doing. If you haven't played the original game, well here's the first story that inspired all! Dr. Robotnik has taken over planet Mobius, and South Island, home to a stubborn hedgehog is currently being invaded. As friends, family and wildlife gets captured and turned into Robotnik's robots, Sonic decides to take matters into his own hands and sets off onto his adventure to rescuing the captured animals, and stop Robotnik's plan! If you were alive in 1991 and saw Sonic the Hedgehog on screen for the first time, you would know that it blew everyone away at that time. This was an era where colors were bland, 2D, games weren't full of life and personality but Sonic came in to change the game. Imagine playing Nintendo 64, and all the sudden the graphics of a PS3 game is compared right beside it, that's the kind of feeling people had when they saw Sonic. The background would move, the trees would blow, the water would sparkle and best of all... Sonic had an attitude. The way he would tap his foot impatiently if you didn't move for 10 seconds, or how he would spin into a ball and you can see every detail of him spinning. How the TV boxes would flash when you blow it up to get an item. The textures of each level's walls, ground, and features were detailed and you would know what environment you were in. This is still just as beautiful today. Games that are using sprites today are still having a hard time expressing the same feelings that Sonic 1 gave, and for me looking at this game for the maybe... 1000th time? It's still just as beautiful in 2019. As what was said for the graphics, the same feeling goes towards the music. In 1991 SEGA used Stereo sound and learned how to use the technicality of it alongside the Genesis to make sounds that had base, sounds that you can clearly hear every instrument used, and have it stuck in your head. Every Zone has it's own track that gives the life to the graphics and sets the tone of the level in which you are playing in. My favourite part of everything I listen to in the game that honestly keeps me playing is the sound effects. I love the sound of jumping on springs, hitting TV's and jumping and hitting enemies with Sonic. When he curls into a ball, you know he means business, and the sound of Robotnik's bosses going down is ever so satisfying. The classic Sonic the Hedgehog sound effects are my fav sound effects in any game of all time. It's so addciting and just wants me to keep smashing, and running! I'm going to divide this into 2 sections, the main gameplay of the game how it plays out, and the new features added written about in detail. Sonic the Hedgehog's gameplay is simple. It's a platformer on speed, made for all around players. Sonic must run, jump and spin his way through 6 zones while collecting 6 Chaos Emeralds which he can have a chance to get by completing an act with 50 rings or more. You will then be teleported to a Special zone where the emerald waits for you to catch in a giant, gravity-defying , nausea indusing ... world? Honestly I never knew what exactly he was in during this special zone, but it's by far everyone's worst part and worst special zone to date. Sonic has 2 acts to complete per zone with it's own level design. Some more speed based, and others more platforming than running. Sonic plays smoothly, controls respond and the momentum all flow as if it's reality. If you want to somewhere, you must buid the right amount of speed for that hard jump. When conquering a section, you are rewarded with speed and then you must again complete the next section. This game isn't about holding right, and hope that you get to the end. you're constantly moving left, right, jumping, jodging and spinning to make it in time to the goal. I wish SEGA can go back in time to see how their stage designing was done, to be inspired and to re create this in future titles as was done in MANIA (released in 2017) which has the best level design to date in my opinion. You have 10 minutes to get through an act, if you don't make it you will lose a life. You start with 3 lives, and once gameover you must start back from the beginning of the game. There is not saves at that time, but luckily in the port there are timestamps where you can save your progress and continue whenever you want. 100 Rings get you an extra life, though Sonic 1 is the hardest game to reach 100 rings from all the enemies, short levels and less rings laying around. You must really explore to get 100, which is really satisfying. At the end of every 2nd act, the 3rd act will be half a level followed by a Boss before you reach the next zone. Every zone is different, every level design is different, every gimic is different, and Sonic is the same. It's an addictive adventure everyone should play at least once in their life. As for the port, it's time to get into that! 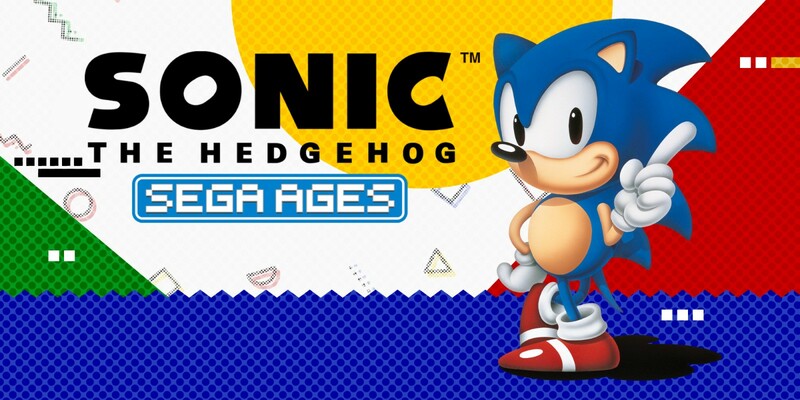 Sonic AGES comes with the original game and with loads of new features for new fans and old to enjoy. I'm happy to say that the Original mode DOES really stay true to the original. Minus, a few frame drops and some bugs I found laying in the game. Once I got squished when I wasn't close to getting squished. While other times I'd be running and frames would drop randomly that wouldn't in the original. This is unacceptable. It's a 1991 game, and should be enhanced if anything. But luckily, it is the only issue with the port. The features that make the 7.99$ port worth comes with a gameplay change which can have Sonic perform the drop dash ( A move added in Sonc Mania (2017) in which sonic can jump and hold down the action button then perform a boost when landing and remain in a spindash form). I did 2 playthroughs of the game one being the original 1991 version, as well as the Drop Dash edition which really makes the game feel a lot quicker and you can reach areas you couldn't without it which is cool. I really recommend playing with the drop dash to change the pace of the game. You can also change the TV style, having lines go across like 1991 TV's, have a more saturated and bubbly effect, original mode, or new. So you can fufill your Sonic looking needs how you want! You can even add a Sonic boarder around the game to add some style. For beginners, "Ring Keep Mode" is more like the modern Sonic game in which when Sonic takes a hit, instead of losing all of his rings he will only lose a portion of his total rings allowing players to last longer on the adventure without dying. If you're a newcomer, this is for you to begin with before you hit the original mode! Especially if you're not used to the speed. 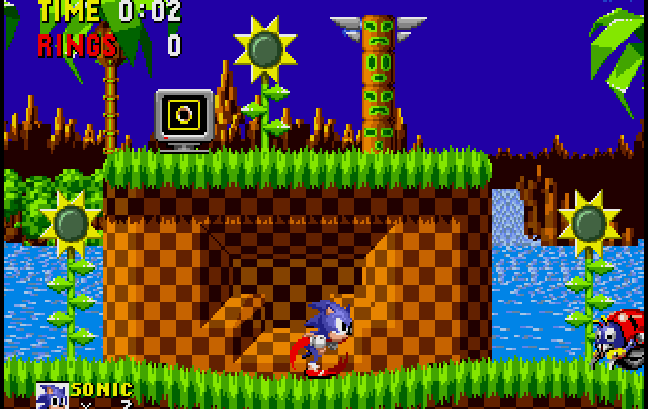 In Challenge mode, you have 2 challenges: 1) to complete Green Hill Zone under the timelimit which may be simple for long time Sonic 1 players, but cutting it SO close for new players or for those who never played Sonic 1. BUT you do have the drop dash, which makes everything easier! The 2nd challenge: involves the hardest part of the game where you must play as Drop Dash Sonic and go through the MEGA Play Version which is 4 of the zones (with no bosses) but here's the catch: You have 1 life only. And once you're dead, it's over. Finally there's the Green Hill Ranking mode, an online mode where you just play through Green Hill and you can submit your time. I'm number 200 in the world if you must know It's pretty fun, and you can see how other players did it to improve your speed! It's also a huge game changer with the Drop dash. 6) Submit Green Hill's ranking and Score challenge Mode Online. Besides the Christian Whitehead port, this is my favorite port. There were tons of new modes to enjoy and re challenge myself with. I didn't think the Score Mega Play challenge would be that hard... but it was. I felt a whole new experience coming out of Sonic AGES especially with the Drop Dash. If you haven't played Sonic 1 ever, this is your chance. It's 8$, a masterpiece, an easy mode to teach you to Sonic, and a challenge that not even the best of masters can sometimes complete. It's also on the switch, which is a short fun game you can just play on the go to pass time and to re live the story that started it all.